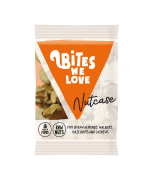 Delicious nutty bites to brighten your day! little things to brighten your day. Our mixes are full of natural ingredients and come in handy bio-plastic portion packs for eating on the go or lovely dispensers for in the office. 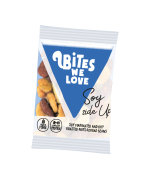 We make healthy snacks easy and delicious! 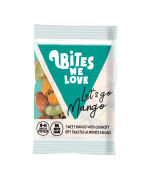 Mix of dry roasted almonds, dried mango and edamame beans. 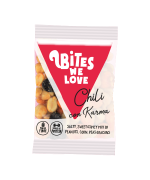 Salty, sweet & spicy mix of peanuts, corn, peas & raisins. 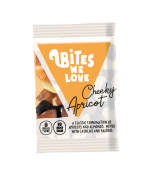 A classic combination of apricots and almonds, mixed with cashews and raisins. 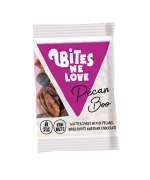 A bittersweet bite of pecans, cranberries, yellow jumbo raisins and dark chocolate drops. Soymarinated and dry roasted almonds, cashews and broadbeans. Mix of raw almonds, walnuts, hazelnuts and cashews.